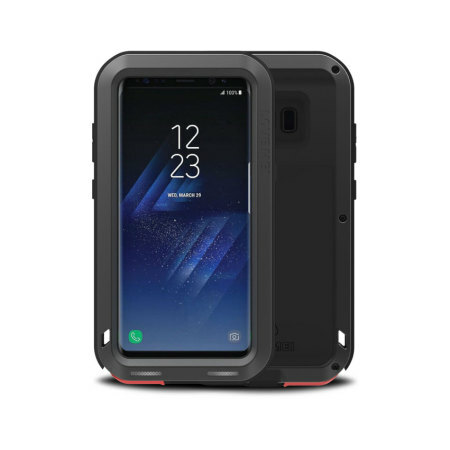 Protect your Samsung Galaxy S8 Plus with one of the toughest and most protective cases on the market, ideal for helping to prevent possible damage from water and dust - this is the black Love Mei Powerful Protective Case. This case is 100% worth the money I work on a construction site. Lots of dust dirt and chances of the phone getting damaged. But not with this case. I am so glad i have bought it. Im not proud to say that i have dropped my phone a few times now and the case is not showing no signs of damage at all and also i dont have a screen protector because the sits higher then the screen so i dont have to worry if i put the phone face down. Buy it if you want to keep your phone safe! 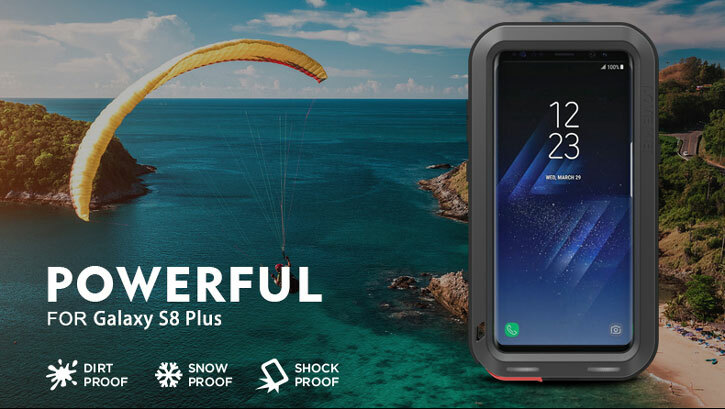 Designed to provide ultimate protection as well as being dust and water-resistant, the Love Mei Powerful case for the Samsung Galaxy S8 Plus is comprised of protective aluminium material and a special impact truss to help prevent impact damage and scratches appearing on your device. 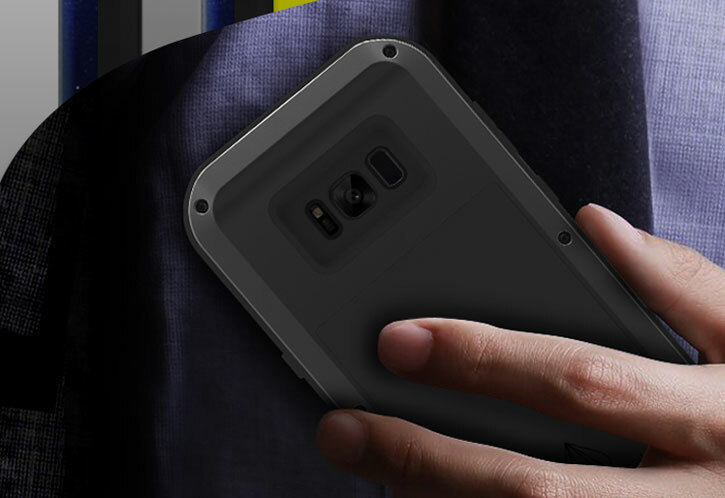 With shockproof rugged protection and high impact ballistic bezels with low profile pocketable construction, the Love Mei Protective Case for the Samsung Galaxy S8 Plus offers powerful protection with a purposeful design. The charging and headphone ports within the case are protected to keep out unwanted dust and grit, giving you full access, whilst offering great protection. 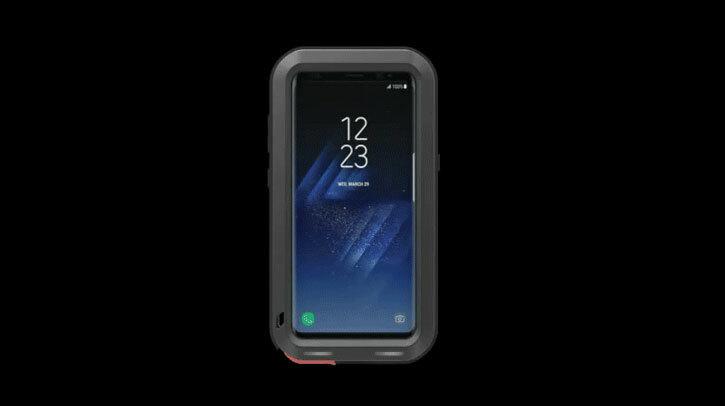 With the built-in lanyard loop, the Love Mei Powerful Case for your Samsung Galaxy S8 Plus can be attached to your wrist or other secure location with ease. 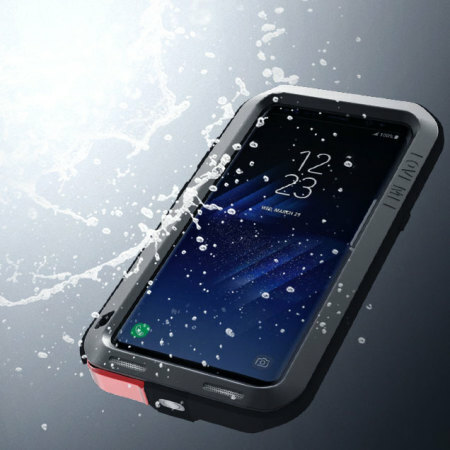 Even though your Samsung Galaxy S8 Plus will be fully protected, the Love Mei Powerful Case still allows access to all the ports and features of your device and will not interfere with the proximity sensor. Please note: No screen protector is included.